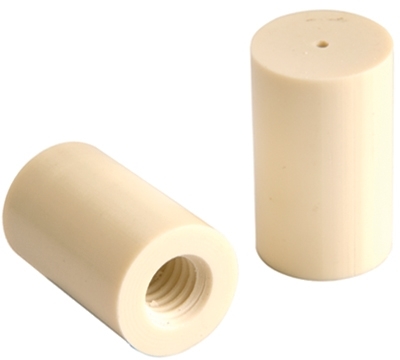 The Juma is a thermoset plastic with little porosity that machines easily and polishes to a high luster. 1" length with 5/16-18” threaded interior. A great playing medium hitting ferrule. 14mm.